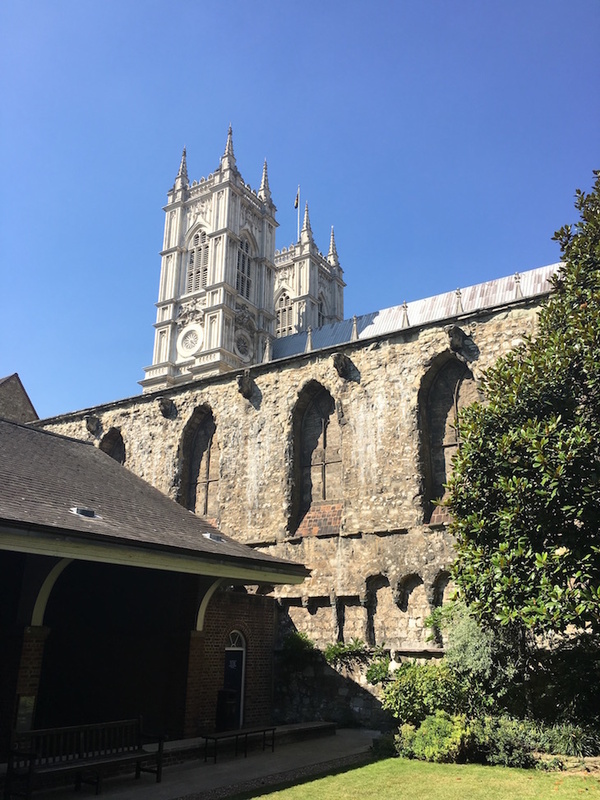 Westminster School was founded in 1560 by Queen Elizabeth, but there's a tradition of education within Westminster Abbey dating back to at least the 14th century. 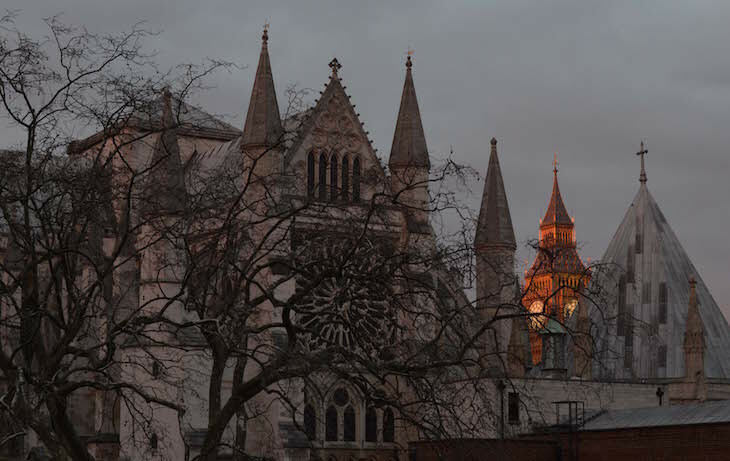 The school is closely linked with the adjacent abbey, where staff and pupils attend regular services, accessed by a direct passageway linking the two. Originally the school was intended to educate '40 poor scholars', and the Queen's (or King's, depending on the time period) Scholars are the first to welcome the new monarch at her or his Coronation, with shouts of "Vivat Regina/Rex". 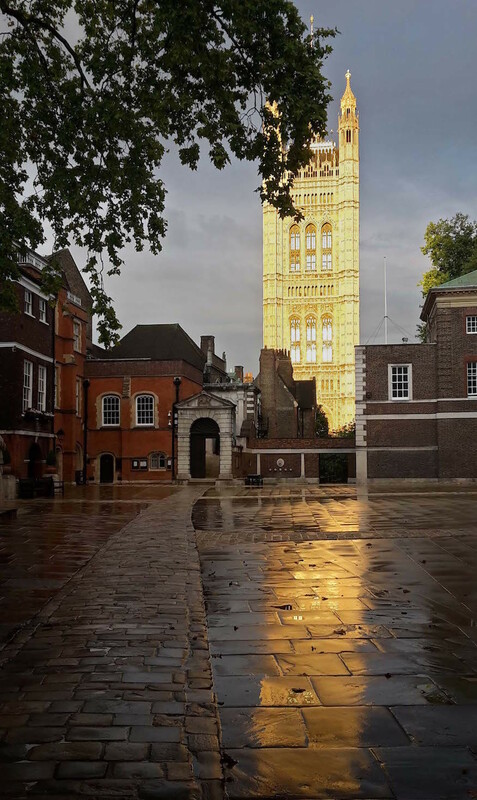 The scholars have historically also had the privilege of attending debates in parliament across the road, as long as they wore their gowns, although these are now also open to the public. 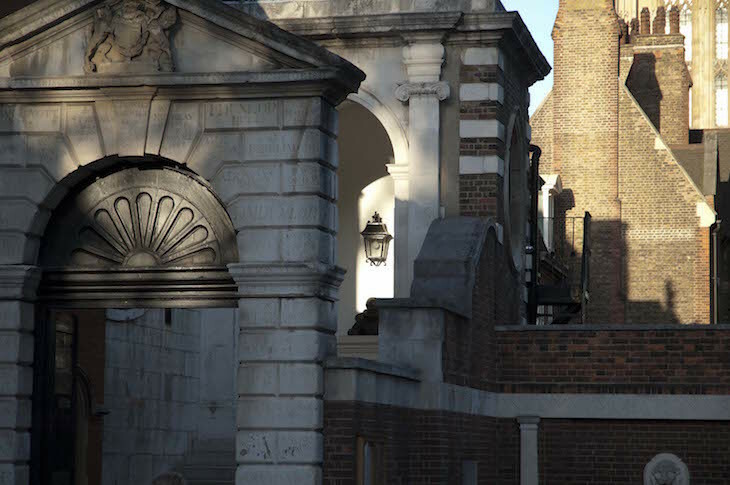 The school still occupies its original site, centred on Little Dean's Yard, or simply 'Yard' as it is known in the school's unique vernacular. The entrance to the main school hall is through the neoclassical Burlington Arch, where many pupils have carved their names, in scripts including Hebrew and Devanagari. In the 1990s, two pupils stayed up all night to carve their names in to the masonry. To cover the sound of their chiselling, they had to time the strikes of the hammer to coincide with the chimes of nearby Big Ben. 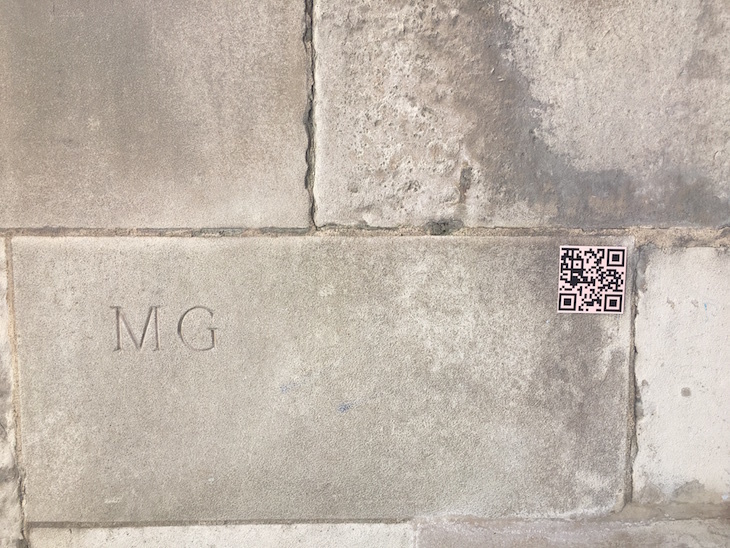 An audio-clip describes this act of derring-do and is linked to a QR code placed next to the resultant graffiti. Latin is a big deal at the school. Pupils attend regular Latin Prayers, which are intoned in a unique style of pronunciation that is called Westminster Latin. 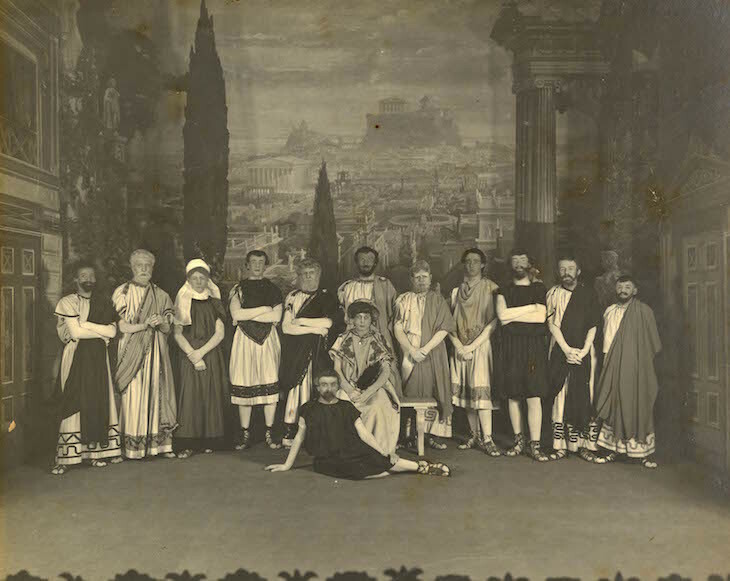 There is also a history of a Latin Play that goes back to the 16th Century and was even attended by Elizabeth I herself. 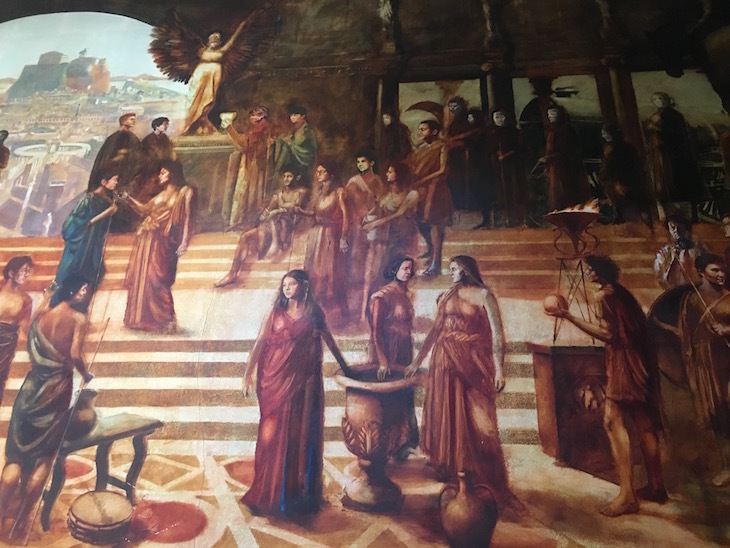 The main school hall is hung with two huge canvases painted by Sir Charles Cockerell in 1857 as scenery for the productions, depicting ancient Athens and a Roman theatre. Another ancient tradition that still persists is the Greaze, which has existed since at least the 18th Century. On Shrove Tuesday, a cook tosses a horsehair-reinforced pancake over a high bar located 'up' school (in Westminster slang). Pupils then compete to get hold of the biggest piece of pancake in the presence of the Dean of Westminster. Scales are used in the event of any dispute. The winner is rewarded with a gold sovereign, which has to be immediately returned for use the next year. The Dean then rewards the pupils for their effort by granting the school a 'play', a half-day holiday. 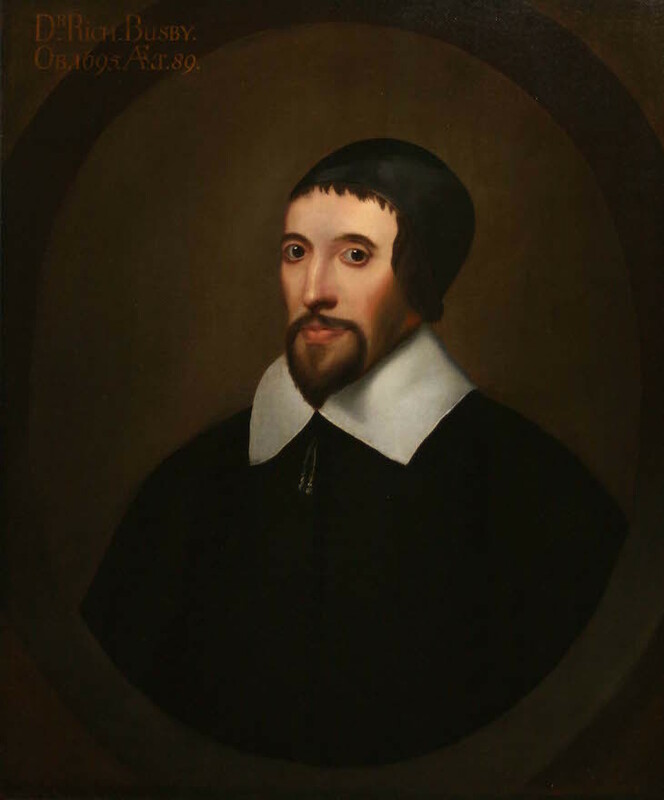 The school's most famous headmaster Dr Richard Busby was known for his enthusiasm for using the birch, and inspired Alexander Pope's epic satirical poem the Dunciad. 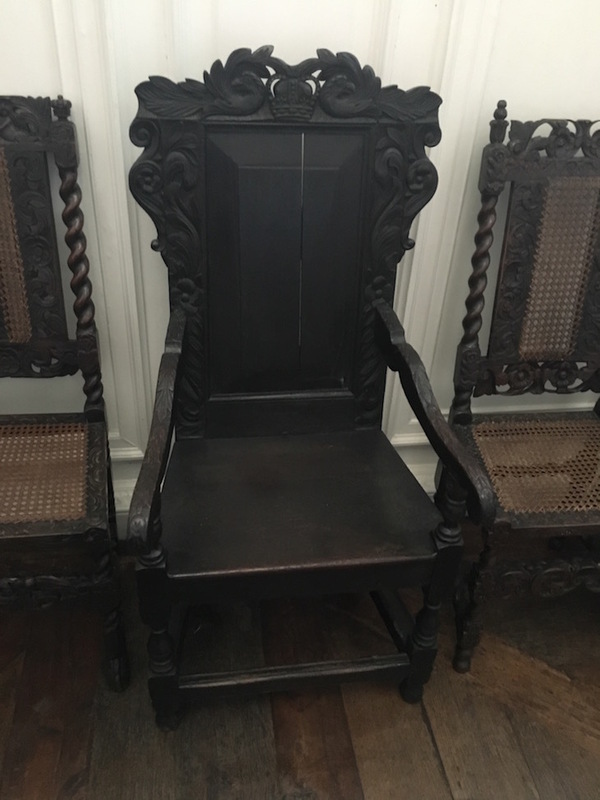 A chair in the school's library was given to him by King Charles II after a visit by the newly restored monarch. Busby refused to remove his hat, telling Charles "I don't want the boys to think there is a higher authority in this school than me". Thankfully, the king was amused. The school's central location has enabled it to attract some eminent speakers. 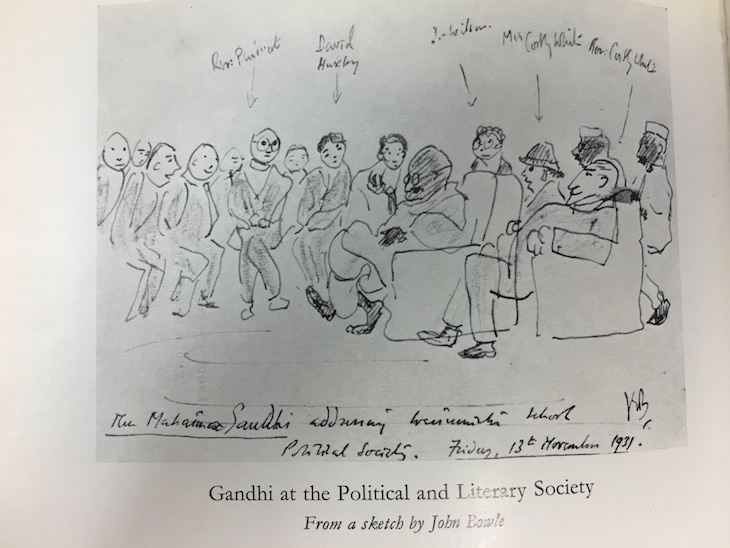 A bust of Gandhi commemorates the occasion when the advocate of a free India addressed the Political and Literary Society on the invitation of the boys. 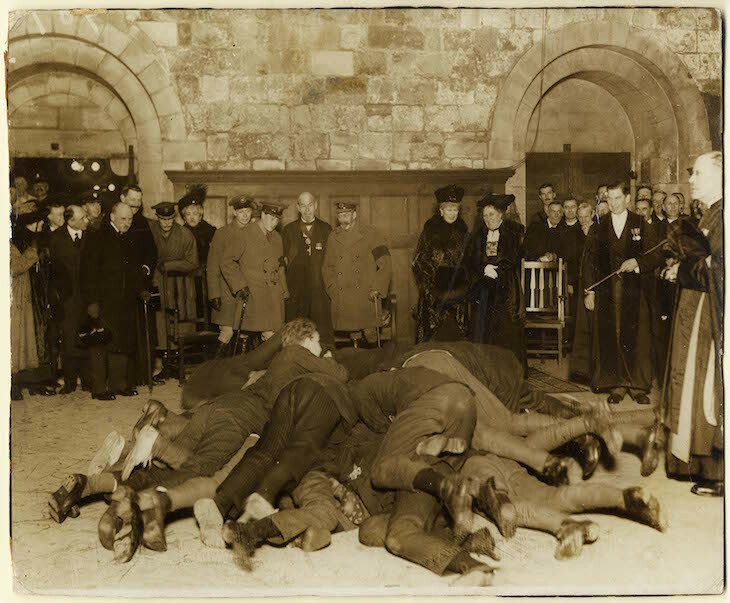 In the context of Imperial Britain of 1931, this was quite a controversial event! College Hall, the main dining room for the school, is a spectacular 14th century hammer-beamed space. A rumour that the hall's tables were made out of the ships of the Spanish Armada has been debunked by recent research. Analysis showed that the type of wood is 'green' or unseasoned wood, that would not have been previously used for shipbuilding, although it indicated that the tables may be even older. Ashburnham Garden, which is now used for al fresco theatre and hosts the school's Fives courts, was once a monastic refectory. This was an important medieval space that held meetings of Parliament and was the location of the Convocation that chose the subsequently martyred Thomas Becket as Archbishop of Canterbury. Following the dissolution of the monasteries by Henry VIII it fell in to disrepair and its southern wall was later demolished by Protector Somerset and used to build Somerset House. 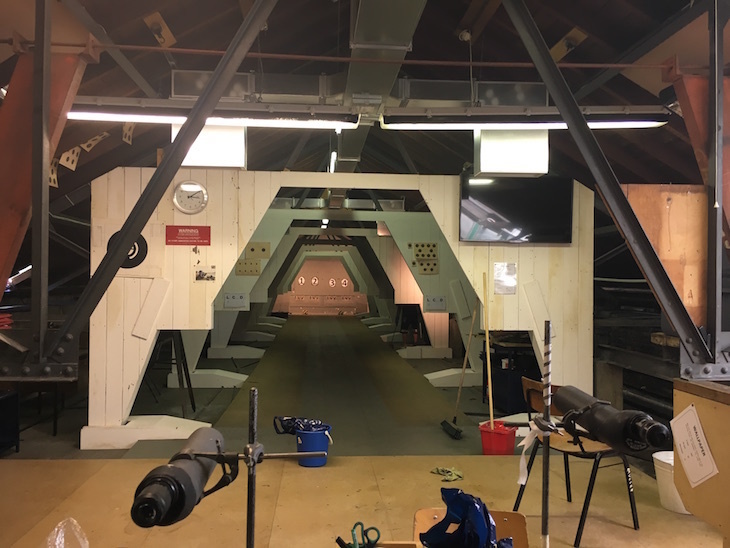 Pupils don't do sport, rather they participate in a 'Station', which options ranging from 'water' (aka rowing) to fencing. The school's sporting colour is pink, an honour reportedly hard-won from Eton. Those who excel at sports are awarded 'full pinks' and can wear a pink tie with their uniform. 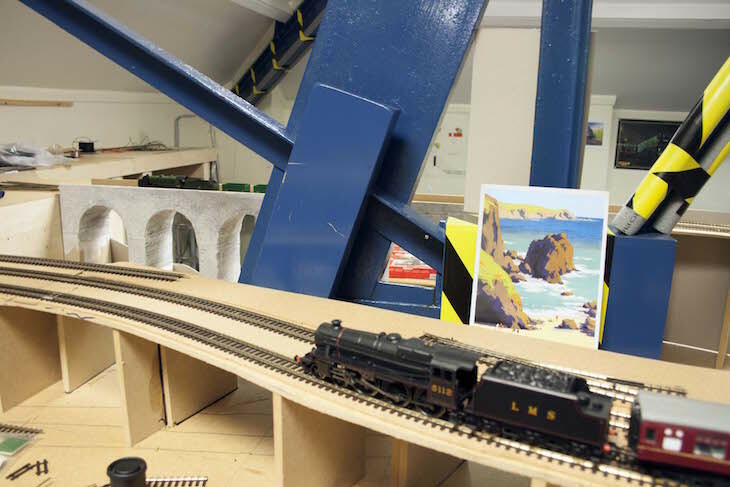 The roof above the scholars' dormitory contains a fully equipped shooting range, as well as a model railway club. The naming of the years also defies conventional logic, starting at Fifth Form around age 13 and progressing through Lower Shell, Upper Shell, Sixth Form and Remove. 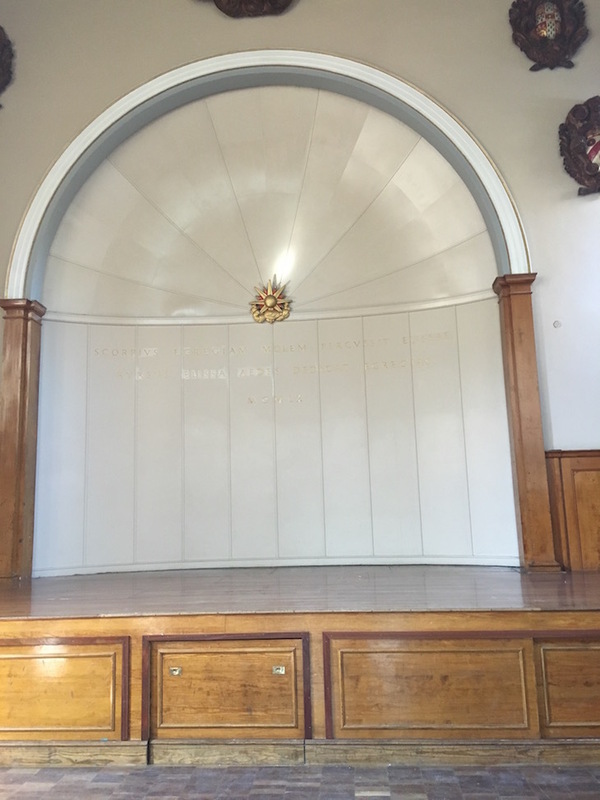 The shell refers to an unusual alcove up school that was used to teach particular groups of pupils, when all tuition took place in the main school hall. The school regularly commemorates the re-founding of the school by Queen Elizabeth I with a service in the abbey every two years, know as Big Commem. On the intervening years a more intimate ceremony called Little Commem takes place in the Henry VII Lady Chapel. 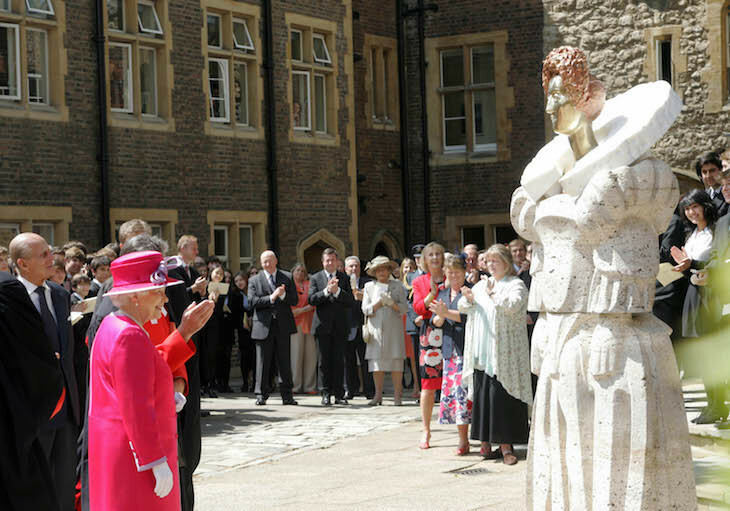 The school recently celebrated its 450th anniversary with a statue of its royal benefactress, made from an unusual composite of marble, bronze and travertine by Old Wet Matthew Spender. 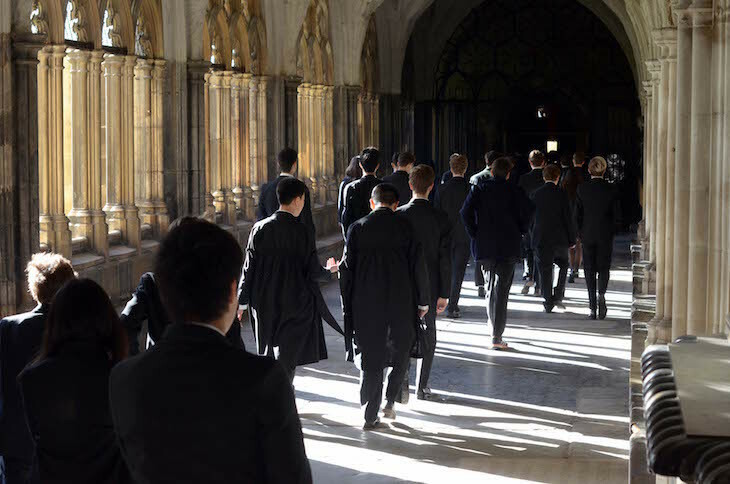 Tours of Westminster School can be arranged during the school's holidays by contacting the archivist. More details are available on the school's website. Also read: Secrets of Harrow School.